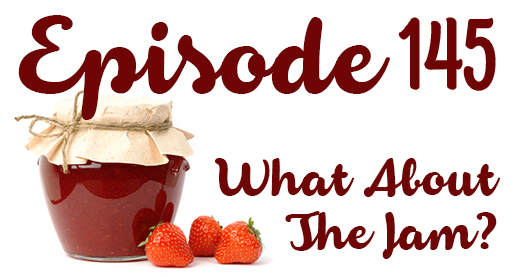 Episode 145: What About The Jam? Did Logan save the jam? Find out in 2015’s first episode of the JustUs Geeks Podcast! Happy New Year! All of us here at JustUs Geeks hope that your new year is starting off well. The Geeks kick the year off with a bang with a great wrap up of 2014, and a look forward into 2015! MOST IMPORTANTLY WE REVEAL IF LOGAN SAVED THE JAM! CLICK ON THESE LINKS! That’d be cool of you. Click here to download on iTunes! Josh Steen is the founder of the JustUs Geeks, and is the host of the JustUs Geeks Podcast. Josh is also a dad, husband, and graphic designer. He geeks out over sports, video games, music, and Transformers. Have an idea for a story or podcast topic? Let him know via social media or email! Send us your geeky questions for Episode #16! Episode 52 – JUG LIVE: Threeve!